Product prices and availability are accurate as of 2019-04-23 10:55:55 UTC and are subject to change. Any price and availability information displayed on http://www.amazon.com/ at the time of purchase will apply to the purchase of this product. 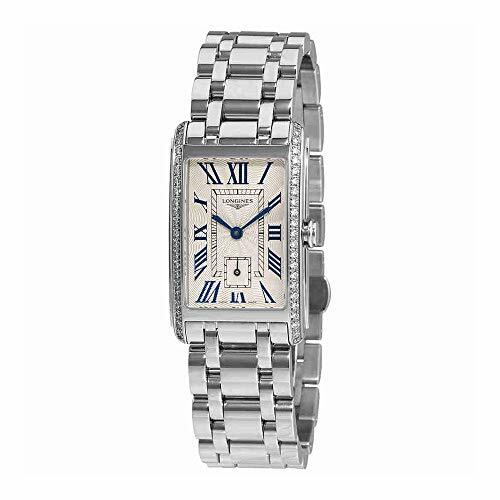 This Longines Dolce Vita Stainless Steel Womens Watch Model# L5.512.0.71.6 / L55120716 will make a perfect gift or a great addition to your collection. 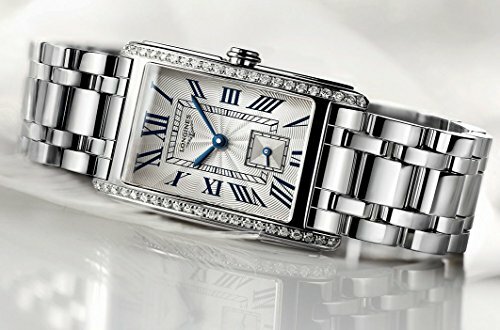 This Swiss watch features a polished stainless steel case and bracelet, Bezel is set with 46 Wesselton VVS diamonds , Silver textured dial, Seconds sub-dial, Blue hand indicators, Black Roman Numeral hour markers, Anti-Reflective Scratch-resistant sapphire crystal, Solid Case back, Swiss quartz movement, Water-resistant to 30 meters/100 feet. 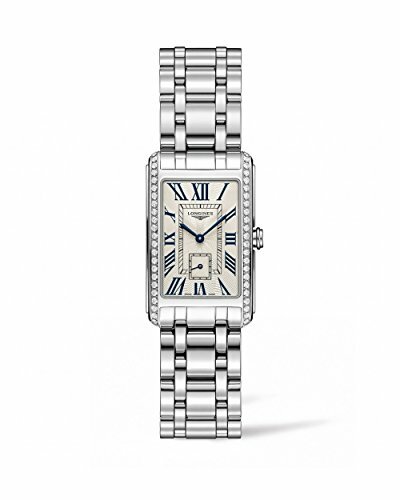 Longines is renown for their prestigious super scratch resistant and virtually unbreakable crystals. As all of our other watches, this Longines Dolce Vita Ladies watch is brand new and comes with the original box, warranty card and papers!